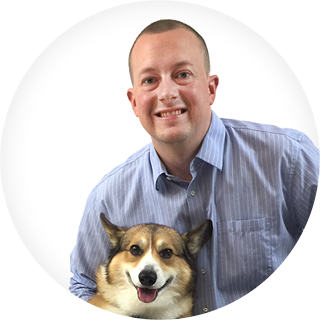 Trupanion provides simple, fair, and high-value medical insurance for pets. In their pet-friendly office, they are surrounded by dogs and cats inspiring them to do great work. A network of over 100 territory partners form the vital link between Trupanion and veterinary hospitals. They build relationships and educate veterinarians, veterinary technicians and office staff regarding the importance of insuring pets. The field force’s work is the foundation for the growth of Trupanion’s business. It is the most important way to explain the impact medical insurance has on the lives of beloved animals. Before portatour®, Trupanion’s territory partners were tasked with the laborious chore of planning their sales routes manually. Each partner in the field spent about one day each week planning which addresses to visit. In addition, management spent one day each quarter working on an Excel spreadsheet for each field representative. For managers, about a month of planning work accrued each quarter. A month full of manual work to create routes for all reps is not a sustainable model. What’s more, the resulting routes were suboptimal: one group used to visit all accounts based on geography, regardless of status. The other group visited customers based only on status, but ignoring geography. The ensuing problem was a large number of accounts being neglected. To help their territory partners work more effectively, the Trupanion IT department began to look for a route planning solution. Several route planning products were evaluated. Eventually, portatour® was the only option that combined geographical route optimization with the desired call frequencies. Furthermore, portatour® also delivered out-of-the-box integration with Trupanion’s Microsoft Dynamics CRM. Trupanion rolled out portatour® step by step. It began with pilot project in March and resulted in the full rollout in July. Setting up the portatour® Dynamics CRM solution and putting it into actual service was straightforward. One challenge was to overcome field partners’ established habits and another was to address initial scepticism toward algorithm-based planning. Regional managers provided hands-on training to the first pilot users. Once successful and confident, the first users turned into change ambassadors and role models for the others. They shared their experiences with the entire field force at a national sales meeting. A newsletter was distributed with how-to articles to showcase the benefits of portatour®. Once the reps realized the advantages, they didn’t want to go back. The portatour® route planner is user friendly and something that you can experiment around with without fear of breaking anything. We got excellent support every step of the way. With the portatour® route planner, the field force is now far more effective. Before portatour®, only about 50% of a territory was actually covered, leaving many animal hospitals neglected. Now, 95% of such customers are consistently visited. With the easy user interface, the representatives are able to significantly improve the documentation of customer calls. The difference is an increase from 50% to almost 80% of visits being properly logged. Moreover, the data is automatically fed from portatour® into the Dynamics CRM system, where it is used for further reporting. Most importantly, Trupanion saved one day of planning time per person per week. This freed-up time is now used for visiting veterinarians. The results are 20% more visits to accounts in any given week. Trupanion sees steady 25% annual revenue growth , with portatour® being a key contributing factor. Now we are able to make our actual customer calls adhere to the desired frequencies and priorities. Every business with a field service faces this challenge. I would absolutely recommend portatour®.